In the 2018 midterm election, voters approved Proposal 1 to legalize marijuana in Michigan. Medical marijuana was approved in Missouri and Utah. The NORML PAC, the political arm of NORML that permits us to provide campaign contributions, endorsed dozens of candidates who support NORML-friendly public policy and legislation. The winners of those races are indicated with a check mark. In 2019, we anticipate unprecedented legislative activity at the state level in favor of marijuana law reform legislation, and we expect to see several significant legislative victories before the year's end. Summary: Voters by a margin of 56 percent to 44 percent approved Proposal 1, legalizing the adult use, cultivation, and retail marketing of marijuana. Michigan is the first Midwest state to legalize adult marijuana use and sales, and it is the tenth state overall to do so. Under the measure's provisions, adults will be able to legally begin possessing cannabis ten days following the certification of the 2018 election results. An estimated 25 percent of the US population now resides in a jurisdiction where the adult use and possession of cannabis is legal. Summary: Sixty-six percent of Missourians approved Amendment 2, which amends the constitution to permits physicians to recommend medical marijuana at their sole discretion, and provides licensed dispensary access to qualifying patients. The measure beat out two competing ballot initiatives, neither of which received more than 50 percent support from voters. Summary: Fifty-nine percent of North Dakota voters rejected Measure 3, a grassroots initiative that sought to strike marijuana from much of the criminal code and would have ended most marijuana-related arrests. Though the campaign was ultimately unsuccessful, NORML is proud to have worked closely with local organizers over the past months, and is looking forwarding to coordinating future statewide reform efforts under the North Dakota NORML banner. Summary: Fifty-three percent of Utah voters approved Proposition 2, which facilitates legal medical cannabis access to qualified patients. In the coming months, state lawmakers are anticipated to hold a special legislative session with regard to implementing the new law. NORML is calling on state politicians to "respect the will of the electorate and move swiftly to enact The Utah Medical Cannabis Act in a manner that comports with both the spirit of the law and the letter of law." About: Representative Don Young has shown how truly bipartisan marijuana law reform efforts can be by his leadership as a co-chair of the House Congressional Cannabis Caucus. Alaska voters should send him to Congress for another term so he can continue to advocate for federal reform and help convince more of his colleagues in the Republican Party to join the fight against the outdated and failed policy of prohibition. About: Lou Correa has been a leader in the reform efforts on Capitol Hill by cosponsoring the most robust efforts to end federal prohibition and end the practice of treating cannabis consumers as second class citizens. About: During his tenure in Congress, Jared Huffman has been a preeminent champion for ending our nation's failed federal prohibition on marijuana and an unrelenting force in standing up for California legalization and medical marijuana laws. About: Representative Barbara Lee is the lead sponsor of the Marijuana Justice Act, which would not only end federal marijuana prohibition, but also penalize states that maintain the unjust and disproportionate targeting of minority communities as a result of state-level criminalization. Rep. Lee has been a long time champion of reform. She has been instrumental to the recent explosion of support at the federal level and is a tremendous advocate for her constituents. About: Congressman Ted Lieu has reintroduced HR 4816: The Stop Civil Asset Forfeiture Funding for Marijuana Suppression Act. The measure restricts civil asset forfeiture funds from being used for the Drug Enforcement Agency’s Domestic Cannabis Eradication / Suppression Program. About: Katie Porter will be a leader in reform efforts and support the most robust efforts to end federal prohibition and end the practice of treating cannabis consumers as second class citizens. About: During his tenure in Congress, Eric Swalwell has been a preeminent champion for ending our nation's failed federal prohibition on marijuana and an unrelenting force in standing up for California legalization and medical marijuana laws. About: During his tenure in Congress, Ed has been the preeminent champion for ending our nation's failed federal prohibition on marijuana and an unrelenting force in standing up for Colorado's legalization and medical marijuana laws. About:During her tenure in Congress, Diana DeGette has been a preeminent champion for ending our nation's failed federal prohibition on marijuana and an unrelenting force in standing up for Colorado's legalization and medical marijuana laws. About: During his tenure in Congress, Jared Polis has been the preeminent champion for ending our nation’s failed federal prohibition on marijuana and an unrelenting force in standing up for Colorado’s legalization and medical marijuana laws. At this crucial time in the fight for sensible marijuana policy, Coloradans need an outspoken defender of their state’s right to legalize and regulate marijuana. About: Senator Carper has been a leader in the reform efforts on Capitol Hill by cosponsoring the most robust efforts to end federal prohibition and end the practice of treating cannabis consumers as second class citizens. About: Charlie Crist has been a leader in the reform efforts on Capitol Hill by cosponsoring the most robust efforts to end federal prohibition and end the practice of treating cannabis consumers as second class citizens. About: Carlos has been a leader in the reform efforts on Capitol Hill by cosponsoring the most robust efforts to end federal prohibition and end the practice of treating cannabis consumers as second class citizens. About: Rep. Tulsi Gabbard introduced bipartisan legislation to evaluate states’ marijuana policies. 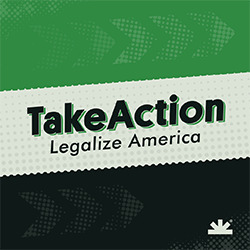 The Marijuana Data Collection Act directs the National Academy of Sciences to create a federally recognized report on state-level marijuana legalization policies, including both medical and non-medical use, and their effects on public health, safety, the economy, the criminal justice system, and more. Rep. Gabbard also received the NORML Rufus King Sr. Public Leadership Award for her outstanding public leadership in marijuana law reform. About: Chellie has been tirelessly fighting for marijuana reform, urging Congress to fix our broken system. She has been a leader in the reform efforts on Capitol Hill by cosponsoring the most robust efforts to end federal prohibition and end the practice of treating cannabis consumers as second class citizens. About: Senator Warren has been a leader in the reform efforts on Capitol Hill by cosponsoring the most robust efforts to end federal prohibition and end the practice of treating cannabis consumers as second class citizens. About: During her tenure in Congress, Jacky has been a preeminent champion for ending our nation's failed federal prohibition on marijuana and an unrelenting force demanding responsible marijuana policy. About: During her tenure in Congress, Dina has been a preeminent champion for ending our nation's failed federal prohibition on marijuana and an unrelenting force demanding responsible marijuana policy. About: Kirsten has been a leader in the reform efforts on Capitol Hill by cosponsoring the most robust efforts to end federal prohibition and end the practice of treating cannabis consumers as second class citizens. About: Alexandria Ocasio-Cortez supports the federal legalization of marijuana. About: Walter Jones has co-sponsored four cannabis bills, including supporting veterans access to medical cannabis and hemp farming. About: "We should trust the people of the states, like Ohio, who have voted to implement responsible common-sense regulations and requirements for the use, production, and sale of cannabis," said Representative Joyce. "If the people of these states have decided to provide help for those veterans and others suffering from pain and other health issues, we should allow them access without government interference." About: Representative Earl Blumenauer has been supporting sensible marijuana law reform longer than anyone currently serving in the House of Representatives. He cast a vote in favor of decriminalization in Oregon in the 1970’s as a member of the state legislator and has been one of the leading champions for ending our failed prohibition on marijuana at the federal level since he was first elected to Congress. About: Dwight Evans is a co-Sponsor of HR 1227, Ending Federal Marijuana Prohibition Act, a bill that would remove cannabis and hemp from federal drug scheduling completely. About: John Fetterman has been an unrelenting champion for reversing Pennsylvania’s failed and draconic policies when it comes to marijuana. He understands the absolute devastation prohibition has wrought on families across the state, most acutely in already marginalized communities. About: Steve Cohen has been a leader in the reform efforts on Capitol Hill by cosponsoring the most robust efforts to end federal prohibition and end the practice of treating cannabis consumers as second class citizens. About: Beto has been a true champion for abolishing our disastrous prohibition on marijuana since the very beginning of his political career as a city council member in El Paso. As Senator, O’Rourke will be an outspoken and indispensable ally in reforming our federal laws relating to marijuana and fight to finally end our failed prohibitionist policies that are currently tearing apart families, oppressing communities of color, squandering countless tax dollars, and filling the coffers of criminal cartels. About: Bernie Sanders has become one of the most outspoken and visible advocates for ending marijuana prohibition. He has called for sensible drug policy throughout his career, made descheduling marijuana a key component of his platform when running for the Democratic nomination for President in 2016, and has co-sponsored key pieces of federal legislation such as the Marijuana Justice Act. Senator Sanders doesn’t restrict his fight for reform to backroom meetings and floor speeches in Congress, he takes our message with him as he holds massive rallies and town halls across not just the state of Vermont, but throughout the country. His fire and passion have helped elevate our issue in the national dialogue and we are honored to support his reelection campaign. He is a true leader in the marijuana legalization revolution. About: Tim has been a leader in the reform efforts on Capitol Hill by cosponsoring the most robust efforts to end federal prohibition and end the practice of treating cannabis consumers as second class citizens. About: During her tenure in Congress, Suzan has been a preeminent champion for ending our nation's failed federal prohibition on marijuana and an unrelenting force in standing up for Washington's legalization and medical marijuana laws. About: Denny has fought tirelessly in Congress to modernize marijuana policy and protect those who consume it. Denny has been a leader in the reform efforts on Capitol Hill by cosponsoring the most robust efforts to end federal prohibition and end the practice of treating cannabis consumers as second class citizens. About: Richard has been a leader in reform efforts by supporting the most robust efforts to end federal prohibition and end the practice of treating cannabis consumers as second class citizens.